Carter Air Balance was started in 1985 by Glenn Carter and in 2001, under the ownership of Vic Congi, Carter Air Balance became NEBB certified. In 2015 the day-to-day operation of Carter Air Balance was handed over to Vic’s son, David Galli. 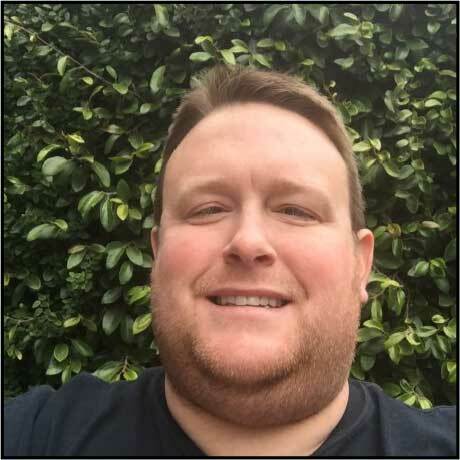 David has worked at Carter Air Balance for 17 years starting out as an estimator, apprentice TAB technician, and obtaining his NEBB CT certificate in 2008. David became a NEBB Certified Professional in 2016 as the Vice President and Co-owner of Carter Air Balance. David handles all day-to-day operational aspects of the company including, project management, estimating, project quality control as well as all aspects of the firm’s certification requirements. He is currently on the Northern California/Hawaii NEBB Chapter’s Board of Directors as the NEBB Marketing Chair and is also involved as the YPN (Young Professionals Network) Chapter Liaison to NEBB. The firm has 1 full time Journeyman (David), 1 apprentice (David’s brother, Nicholas) working in the field and 2 full-time office staff. Amanda Edwards (David’s sister-in-law) has been with the firm for 4 years and is their administration assistant who handles scheduling coordination, report processing, bid processing, and assisting with project management as well as answering the phone. Laurie Congi (David’s mother), is also a co-owner, the company’s president, the office manager and is the company bookkeeper. Although located in Napa, California, Carter Air Balance serves clients throughout Northern California, Northern Nevada and Hawaii (when the opportunity presents itself!). They perform TAB services over a broad spectrum of industries that includes healthcare facilities, telecommunication facilities, laboratory facilities, federal, state and local government facilities, universities, schools & libraries, retail and commercial tenant improvement projects and local commercial kitchens. Carter Air Balance’s goal is to provide total system balance for their clients, implementing NEBB’s Standards and working in cooperation with their respective contractors, owners & engineers. What benefits do your NEBB certification bring to your business? Our NEBB certification ensures clients that we’ve performed our services utilizing rigid national standards. It is more than “you know what you’re doing, the paper says so”, it’s a guarantee that we have balanced their system(s) using nationally standardized methodology with calibrated instrumentation and that all data recorded is accurate and unbiased. This has allowed our company to build wonderful business relationships with clients that endure today and our goal is to build on that into the future. Do your customers understand the importance and value of your NEBB certification? Our clients know that when they hire Carter Air Balance they are getting tremendous value added to their project. We provide total system balance, great client support services, and we work hard to ensure there are no call-backs. Our NEBB certification is the “icing on the cake” for our clients, they understand that our performance is highlighted by the NEBB procedural standards from start to finish on every project.